Two suspected Sars patients in southern China have been confirmed as having the respiratory disease. The two cases in Guangdong province were a waitress and a businessmen, China's Health Ministry was quoted as saying by Xinhua news agency. "After strict tests by the World Health Organisation... they were confirmed to be Sars cases," Xinhua said. Earlier this month, a man in Guangdong became China's first confirmed case of Sars since the outbreak last year. China has been conducting a huge cull of civet cats in recent weeks in the belief that they are helping spread the disease. After some initial doubts, the World Health Organization said on Friday that it had found evidence suggesting that civet cats do carry the Sars (Severe Acute Respiratory Syndrome) virus. It said its inspection team in the southern Chinese province of Guangzhou had found traces of the virus in a restaurant where a suspected Sars patient worked. The 20-year-old waitress, who worked in a restaurant were civet cats were served, had already been discharged from a Guangzhou city hospital, the ministry said. It said that none of the people who had contact with the woman had shown any symptoms. The 35-year-old businessman remained in hospital, but his condition was stable, the ministry said. China's first confirmed Sars case - a television producer - was released from hospital last week. Officials say that Sars symptoms appear to be milder this year, but have warned the population to be vigilant especially during the coming week-long Chinese Lunar New Year holiday. 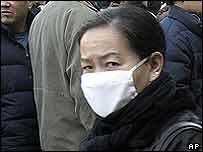 Sars killed some 800 worldwide after emerging in Guangdong in November 2002.